These new 46mm billet aluminum throttle bodies for the Kawasaki Teryx are a must for any built engine application like the Muzzy 840cc Big Bore and 916cc Stroker kits. Works with the stock air box. 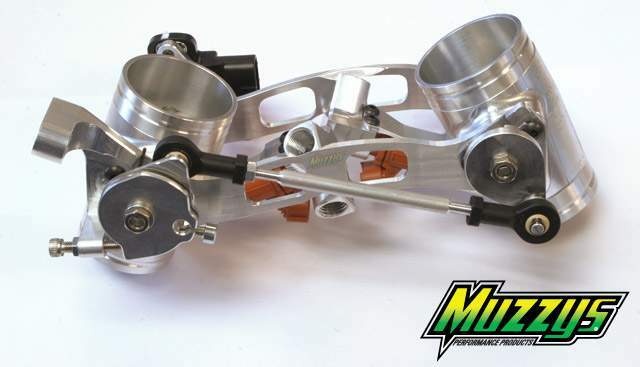 Muzzys Performance Products can be reached by phone at 541-385-0706 or on the web at www.muzzys.com.